We supply 8, 10 and 12” wheels, which suit standard 120, 140 and 240 litre wheelie bins. 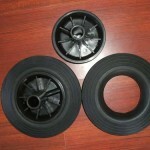 The wheels are made from rubber and the design provides for easy maneuvering. 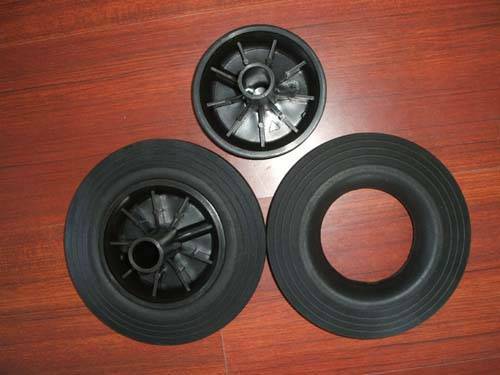 We are proud to offer wheels to CE and DIN EN-840. DIN EN 840 is the European standard for the manufacture of mobile waste containers that specifies requirements for the dimensions and design, the performance criteria and testing, and the health and safety requirements of a mobile garbage bin. We can also offer other sizes. Please contact us to discuss your requirements or to obtain further information.